Precise and accurate food, diet and nutrition are of critical importance in the treatment, speedier recuperation and prevention of disease as well as for keeping up the good health and keeping away the sickness. The right food works as a catalyst to the medicine to act faster. Nutrition is an input and foundation for the health, development and well being. Enhanced and accurate diet and nutrition which acts differently from individual to individual is a prime entry point to ending sickness and the Department of Nutritionist and Dietitian helps its patients in identifying and in administration of right food which an individual requires based on his disease, body type, family history of any ailments and other bio chemical parameters. The only pursuant and motivation of this department with its dedicated and selfless members is to achieve milestones towards a better quality life for its patients. 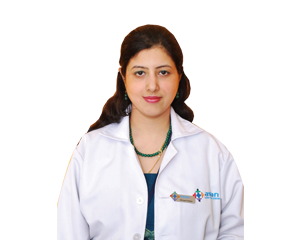 The goal of Nutrition and Dietetics Department at ASIAN INSTITUTE OF MEDICAL SCIENCES in Delhi is to provide excellent care to its patients. We here, are responsible for translating the art and science of nutrition into sound practices for educating the relationship between good nutrition and optimum health and for assessing, planning and evaluating the nutritional status of the patient. The primary goal is to help our patients to lead a healthy life with the help of prescribing the bespoke and exact nutrition to every individual differently based on the individual disease, body type, and bio-chemical analysis. We work as a part of the medical team to meet the needs of the patient. No individual has the same calorie, fat, proteins, minerals or vitamin intake requirements. Every individual has a different body type with different food habits coupled with different diseases, past family or past ailments history. Hence, the nutritional and dietary requirements can not be same for every individual too. Dietician critically analyse the requirements of each patient or an individual who has come for a help from us and we prescribe the requisite based on the detailed investigation and bio-chemical test analysis. Our main focus is on the nutritional management of disease and conditions that are linked to body weight, food choices, eating habits and physical activity. Diet Counselling is an important component of the management of any chronic illness. For effective interaction we do periodical and regular assessment in which we – Assess, Advice, Agree, Assist & Arrange the nutritional plan as appropriate by the body conditions. We try to use the application of nutritional principles and guidelines when caring for patients with common chronic illnesses. We use various references and tools, including clinical treatment guidelines, diet assessment methods, estimation of portion sizes, and nutrition content of various common foods to provide apposite nutritional care. We run both OPD and IPD diet counselling clinic for the management of all the chronic illnesses. We assess the nutritional needs and provide one-to-one counselling. We also provide training for staff on various aspects of nutrition as well as patient education sessions e.g. for diabetes, cardiac problems, obesity etc. We also offer internship programme of 3 months and 6 months to the students with a dietetic and nutrition- specific technical knowledge base in a multi-disciplinary and multicultural environment. Our goal in Dietetics and Nutrition is to train dietetic professionals who will promote nutrition as a critical part of disease treatment/ prevention and integrate nutrition services into clinical, home and community-based health and social networks. We train future dieticians to become leaders in the areas of food and nutrition. We educate and mentor future dieticians to find their voice and their passion. We instill a sense of integrity, innovation and social responsibility. It is a supervised practice experience based on the IDA (Indian Dietetics Association) guidelines for Registered Dietician. Formal classes and conferences are also there during the training course.